Are your kids fans of hippopotamus? 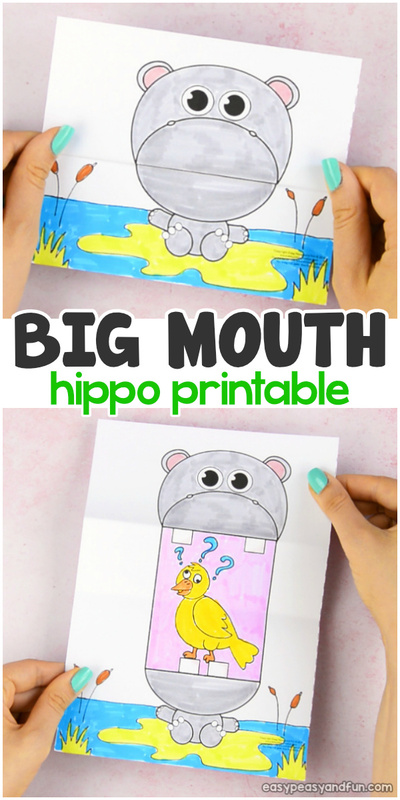 If they are they are going to love this surprise big mouth hippo printable – a craft and a coloring page in one! Ultra fan of hippos? 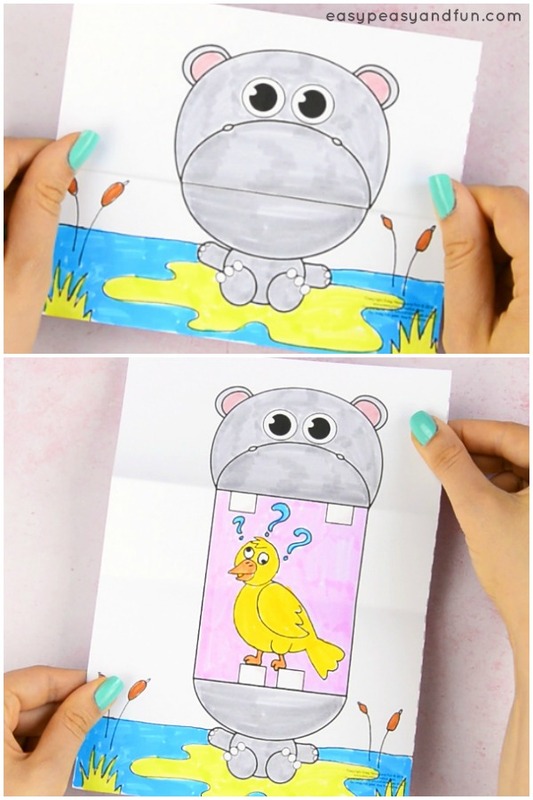 You need to check our printable hippo puppet too! 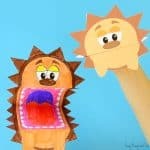 Surprise Big Mouth Hippo Printable is a perfect rainy day activity for kids, or an after school project when you want a simple stress free activity you and your kids can do together. Print one for you and one for your kids, sit down together with them. 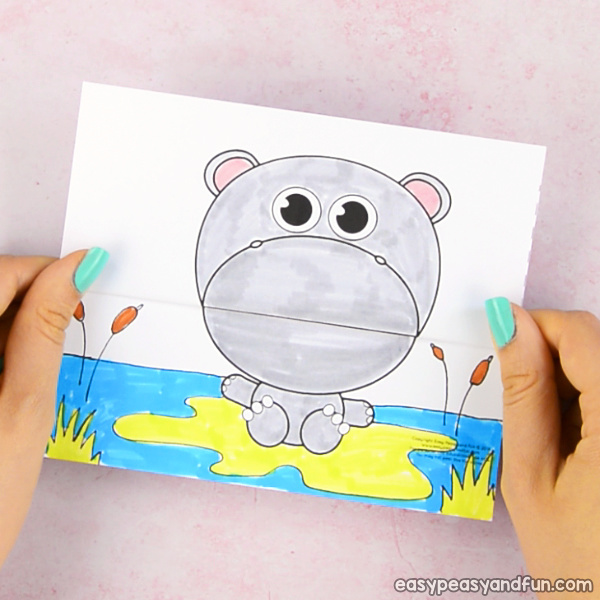 Both of you can color your own design, fold your hippo printable and talk about your day. 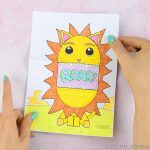 This is a simple no prep animal craft for kids, and as it’s a fun animal to make a great one for any child – did you ever know a child that didn’t like hippos? We sure haven’t. 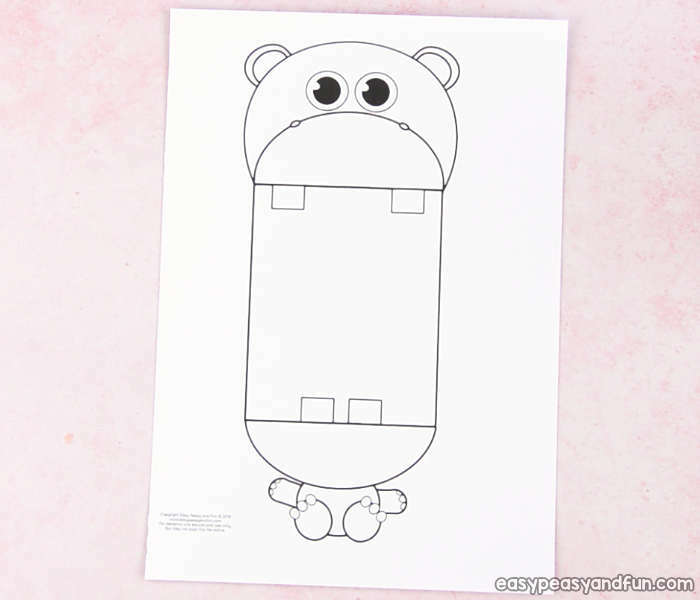 There are two sizes included in our template (you can also skip the template and draw your own hippo). Large one with one hippo across the whole page and one with two hippos on one page. The latter is perfect for classroom use, if you are looking a quick no prep crafty activity to do with your students. Print the one that suits your needs best. 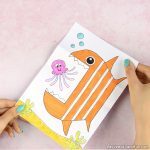 We do recommend printing on card stock, especially if you intend for your kids to color the design with markers, as they tend to bleed through and/or wrinke regular print paper. 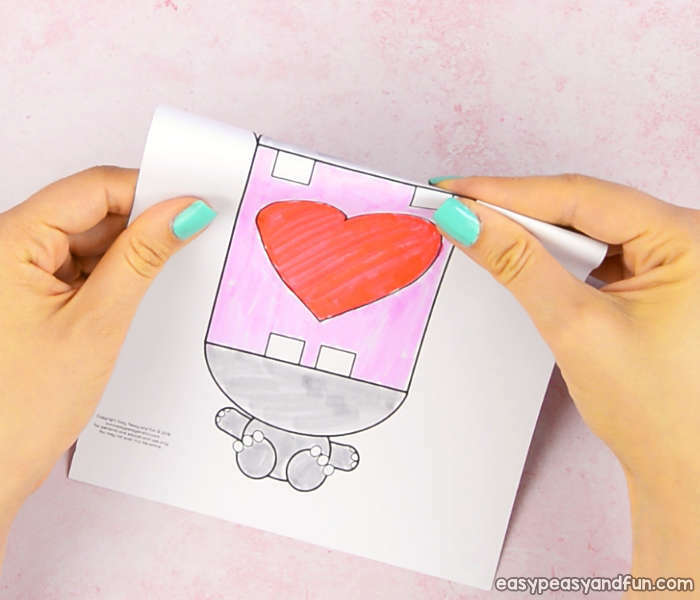 If you are coloring with crayons or coloring pencils, regular print paper will work out just fine. 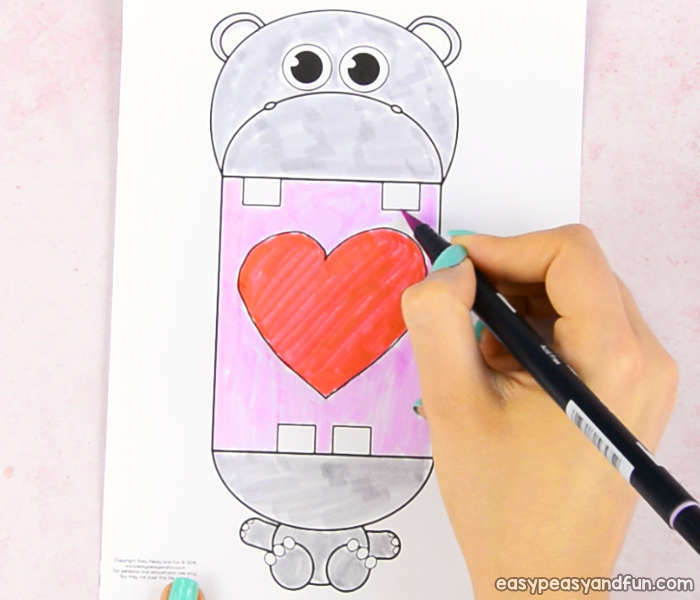 Color the design – we chose to color our hippopotamus with markers as we love how the colors pop out. You can just color the design or you can go beyond that and even draw some background to make things even more interesting. Once you are happy with how you colored the printable template it’s time to start folding. Just two simple folds and you are done with your craft. 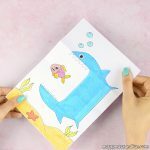 Start by making a fold across the whole width of the paper along the upper lip line. 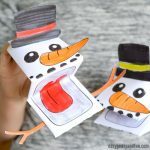 Make sure the fold is crisp – either run your fingers across the fold or use a craft stick and run it across the fold. This will make opening and closing the hippo’s mouth easy peasy. Almost there! 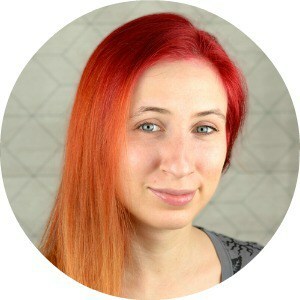 Next you need to bring the fold that you just made down to the lower lip line and align it with that line. 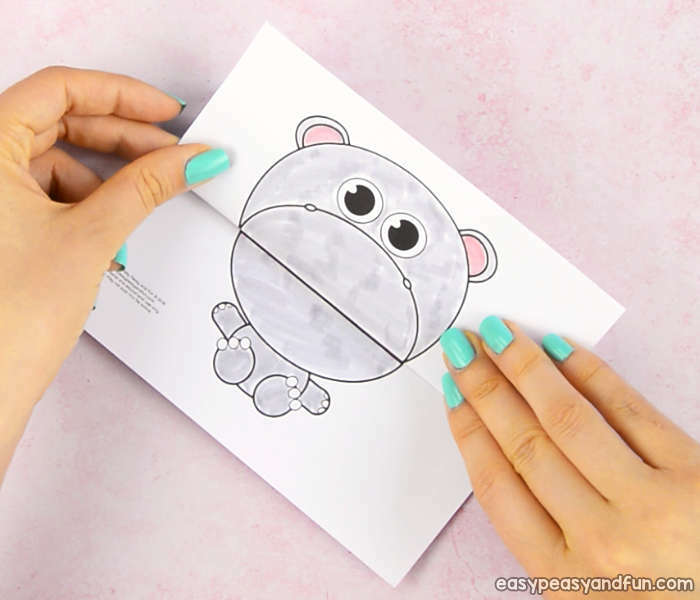 Press the paper down to create a fold inside the hippo’s mouth. All done! Your hippo is ready to be played with. 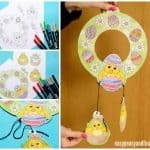 We hope your kids will have lots of fun both creating this crafty project as well as playing with it afterwards.